Some families plan for their kids spring break and use the time for the official family vacation. Others have grandparents and other relatives come into town to watch over the kids. If you’re sticking around the city and are looking for things to do on spring break, then Cincinnati has a lot to offer. There are literally millions of gallons of fun to be had at the Newport Aquarium. Take a stroll across Shark Bridge – if you dare. It’s the only suspension bridge in North America that lets you walk just inches above two dozen sharks. There are also dive shows where the divers can take your questions while underwater. So cool. There are lots to see under the sea at this aquarium. If your family likes puzzles and other mental challenges, then they’re going to flip for this ultimate interactive environment. Players are trapped in a room and need to look for the clues to escape before the time runs out. And you better hurry because the clock is ticking. The Cincinnati Zoo consistently ranks as one of the best zoos in the country. If you haven’t been in awhile, then you’re going to be amazed at how many changes there are. You can feed a giraffe or meet new baby animals at the Animal Encounter exhibit. There is also the Safari Train and the 4-D Theater. All together, the zoo has 75 acres housing more than 580 animal species and 3,000 plant varieties to explore. You might just need two days to see it all! The centerpiece of EnterTRAINment Junction is the 25,000 square feet of model trains. It contains two miles of track with 90 trains all driving through every era of the American railroad. But it’s not just model trains. Kids can also burn off energy at the Imagination Junction, which is a 5,000 square-foot play area. To top it off there’s a museum with even more to see. Before you can start on any of these spring break adventures, you might want to take care of those remaining tasks back at home. You’ll enjoy the fund more when you know things have gotten done. This is where Junk King Cincinnati comes into play. 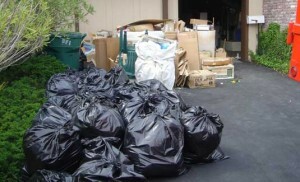 It will only take one session with these junk removal pros to finally get your house cleared of all its unwanted rubbish. Make spring break count without any clutter in the house. Junk King Cincinnati can make that happen. This entry was posted in Cincinnati Junk Removal and tagged Junk King, junk removal, spring break on March 31, 2018 by Junk King. Last updated April 1, 2018 .